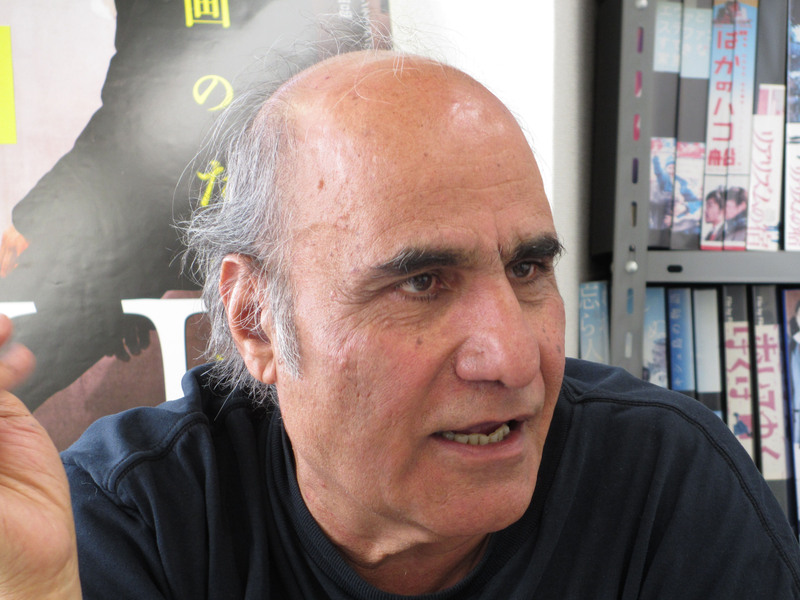 A founding member of Iranian cinema’s 1970s New Wave, Amir Naderi made his directorial debut with his 1971 film “Goodbye Friend.” Since the 1980s he has been screening his film at festivals around the world, including Venice, Cannes and Sundance. Your list of 100 Best Films in “Cut” includes a lot of Japanese films. Because I have been teaching Japanese cinema in the States for the past 20 years. It’s not just because I wanted to make a film in Japan, but I’ve been coming to Japan for a long time, more than 10 years. There’s a sense in “Cut,” which you don’t find in many Japanese films today, that cinema itself is under pressure. Does that come from your experience in politically charged Iran? Filmmaking is under pressure everywhere. 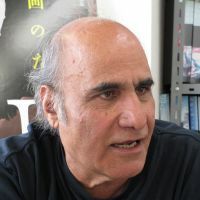 For example, in Iran there is political pressure, but in Japan you cannot find money for making movies. You cannot find a place to show them. There are various kinds of pressure — not just political. Making movies today is like hell everywhere. You use the hero’s story as a universal metaphor. It’s set in Japan, but it’s not only about Japan. Exactly. I worked with John Cassavetes. He’s a symbol of the tragedy of the cinema today. He was an independent filmmaker, as you know. And he had to struggle to find money, to find a distributor, to make a movie and to find an audience. I met Hidetoshi Nishijima about eight years ago — we were on the same jury. He’s a very talented actor and a cinephile. He’s crazy about John Cassavetes’ life, so I told him I wanted to make a film about a young director in Japan whose situation is similar to John Cassavetes’. I’m crazy about the cinema of the old masters like Ozu, Kurosawa, Ichikawa, Mizoguchi, Kobayashi and Naruse. I thought I would make a film about that, but with the feeling of John Cassavetes, as expressed by the character Shuji. He believes that if you want to do something, you have to sacrifice yourself to make it happen. You have to struggle. Some reviews of “Cut” said that no one would allow themselves to be hit like Shuji, but I’ve actually seen a guy on the streets of Shinjuku being punched for money. Yes, I know, I know! I was working on this movie five or eight or 10 years ago and I didn’t know about this story. Then my (Japanese) producer said, “I’ll show you a book, I’ll show you some pictures.” But I’m not surprised. That’s truly Japanese, you know? In America, if someone is in (the hero’s) situation, he’s going to fight. Here it’s totally different. By being punched you get relief. Some critics also said that your warning about the death of cinema was too extreme. The (industry) establishment doesn’t want to admit that they’re why the cinema is in such a mess now. It’s all about entertainment now. They brainwashed the young audience. They don’t know anything about the past. I tell you, in 10 or 15 years from now, nobody will know who Luis Buñuel is. Nobody will know about Mizoguchi or Naruse. The whole history will be lost. That’s the reason for this film. That’s why (the hero) says (the title of) one film for every punch. In reality, he couldn’t do that — he would die. That’s the metaphor: He bleeds as cinema bleeds. And I say to the establishment, including the cinema complexes, “Shame on you. Enough is enough.” As (Shuji) says, “Film is not prostitution — it’s an art.” You’ve got enough money — get out! Today you’re lucky if your film can be shown online or on DVD. It’s strange, mad! “Cut” is not really a homage, though you can see influences from various filmmakers. You tried to make it your own film. Thank-you very much. I shot this film with four cameras, which is an influence from Kurosawa. Moving the camera to get inside a character’s mind came from Mizoguchi. And the steady camera looking at a character came from Ozu. I owe all that to these masters.